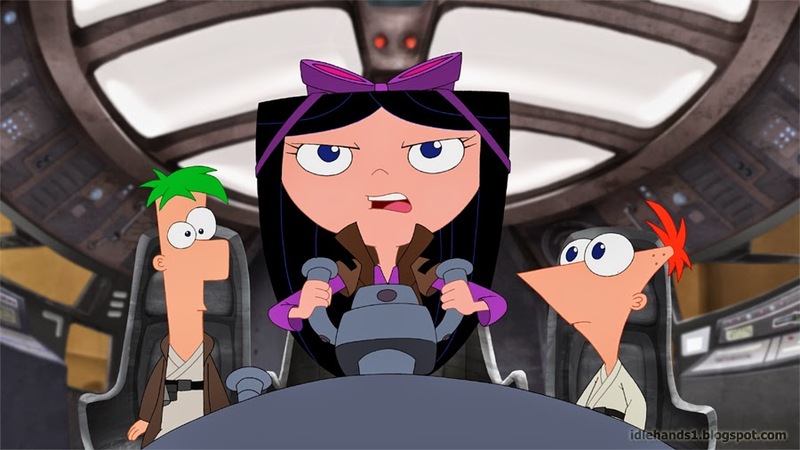 Hide yo Jedi...Hide yo Sith...Phineas and Ferb take on the Star Wars Universe!! An adventure and action-filled television special, "Phineas and Ferb: Star Wars" is set to premiere SATURDAY, JULY 26 (9:00-10:00 p.m., ET/PT) on Disney Channel. The story is set a couple summers ago in a galaxy far, far away when Phineas, Ferb and the gang are in a parallel universe during Star Wars Episode IV: A New Hope. Iconic Star Wars characters Luke Skywalker, Darth Vader, Han Solo, Princess Leia, Chewbacca, C-3PO and R2-D2 are featured in this special event programming. Beginning, Saturday, July 19, verified users on WATCH Disney Channel will be treated to a first look at "Phineas and Ferb: Star Wars." It will also be presented during a night of Star Wars-themed programming, MONDAY, AUGUST 4 (7:30 p.m., ET/PT) on Disney XD, and will be immediately followed by an extended first look at the highly-anticipated "Star Wars Rebels." 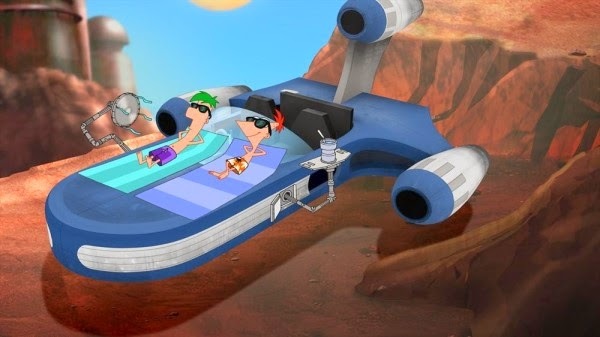 Avid Star Wars fans and "Phineas and Ferb" creators/executive producers, Dan Povenmire and Jeff "Swampy" Marsh make cameos as themselves in the animated special. Eric Coleman, Senior Vice President, Original Series, Disney Television Animation, said, "Dan and Swampy have put their unique spin on the iconic events in A New Hope, and have created fun ways for the characters to interact within the Star Wars universe." ​In "Phineas and Ferb: Star Wars," Phineas and Ferb are living just one moisture farm over from Luke Skywalker on the planet of Tatooine when R2-D2 and the Death Star plans inadvertently fall into their speeder. With the fate of the galaxy thrust upon their shoulders, they hire pilot Isabella, Han Solo's rival, to help them return the plans to the Rebel Alliance. 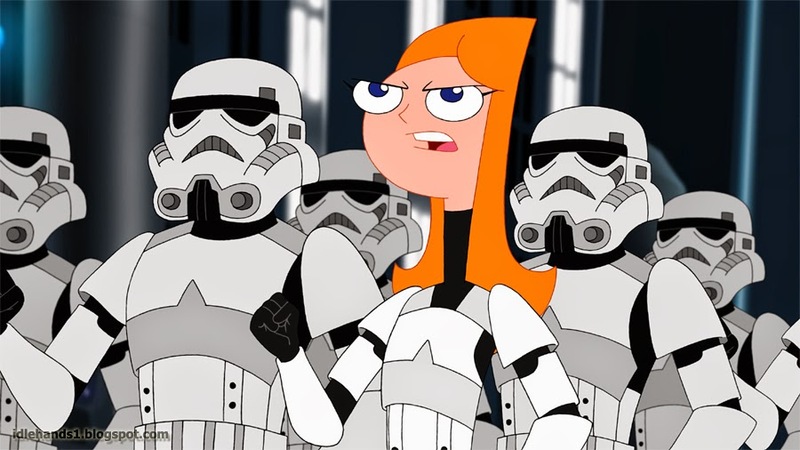 Complicating matters, low-ranking Stormtrooper Candace is intent on busting the Rebels and chases them across the galaxy in hopes of retrieving the Death Star plans. ​Meanwhile, intergalactic chaos erupts on the Death Star when Perry the Rebelpus is trapped in carbonite while trying to stop Darthenshmirtz from using his new "Sith-inator." The saga takes a turn for the worse when Ferb is accidentally caught in the crossfire of the "Sith-inator," changing him into a full-fledged Sith and leading to an epic first-time battle between the brothers. The voice cast is Vincent Martella as Phineas, Ashley Tisdale as Stormtrooper Candace, Thomas Brodie-Sangster as Ferb, Caroline Rhea as mom Linda Flynn-Fletcher, Richard O'Brien as dad Lawrence Fletcher, Dee Bradley Baker as Perry the Rebelpus, Alyson Stoner as pilot Isabella, Jeff "Swampy" Marsh as Major Hologram, Dan Povenmire as Darthenshmirtz, Tyler Mann as Carl2-D2, John Viener as Norm-3PO, Maulik Pancholy as Stormtrooper Baljeet, and Bobby Gaylor as Stormtrooper Buford. Featured are Simon Pegg as C-3PO and Candace's Commanding Officer, and "MythBusters" hosts, Adam Savage and Jamie Hyneman, as members of the Empire. "Phineas and Ferb: Star Wars" is available on WATCH Disney Channel for verified users and Disney XD On Demand. "Phineas and Ferb: Star Wars" premieres on Disney Channel (9:00 p.m., ET/PT) with live simulcast on WATCH Disney Channel for verified users. "Phineas and Ferb: Star Wars" available for purchase on iTunes, Amazon Instant Video Store, Microsoft Xbox and Google Play. 7:00 p.m. - "Kickin' It"
"Seaford Hustle" - Milton accidentally falls asleep during part of his college acceptance exam and fears his dreams of going to the elite Oxbridge University are ruined, until he meets Tom, the President of the Skull and Bones, a powerful brotherhood that can help him gain admittance to Oxbridge. When he discovers Tom has an evil agenda to steal an original Star Wars lightsaber on display at the mall, Milton must decide how far he is willing to go to achieve his dream. 7:30 p.m. – Premiere of "Phineas and Ferb: Star Wars" with live simulcast and next day on demand viewing on WATCH Disney XD for verified users. An extended first look at "Star Wars Rebels" will debut immediately following the special. "Star Wars Rebels" is scheduled to premiere in fall 2014 as a one-hour special telecast on Disney Channel, followed by a series on Disney XD channels around the world. 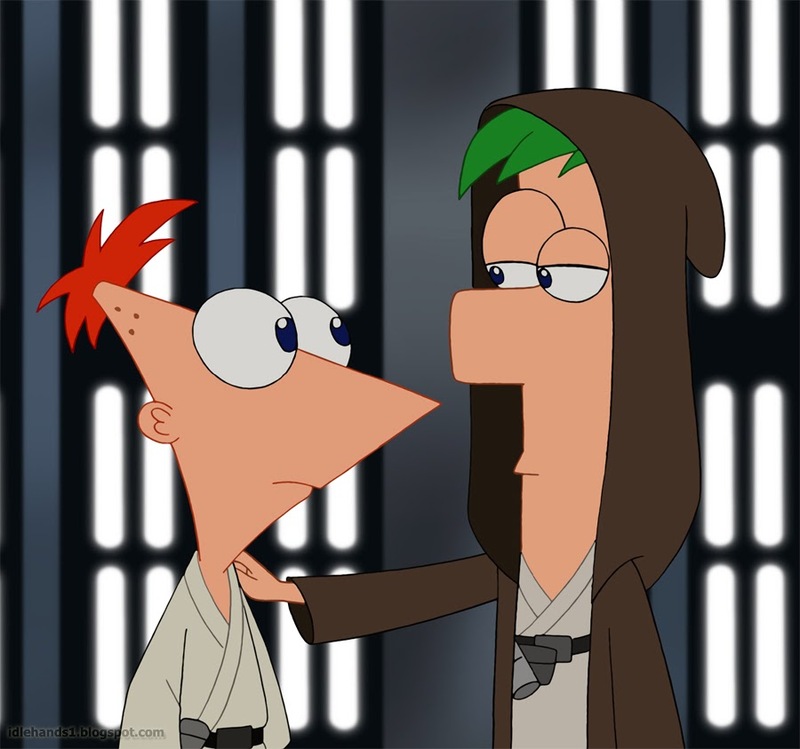 "Phineas and Ferb: Star Wars" is a production of Disney Television Animation and carries a TV-G parental guideline.